Musubi Cafe Iyasume 2427 Kuhio Ave, Honolulu, Hawaii. Spam musubi and Japanese snacks. Teriyaki spam musubi- This is a good basic no-frills musubi. The teriyaki sauce added a bit of sweetness. Tuna mayo musubi – This musubi was cone shaped and stuffed with a tuna and mayo mixture. It was like eating a better version of a tuna salad sandwich. Musubi Cafe Iyasume is a must visit place when on Oahu. 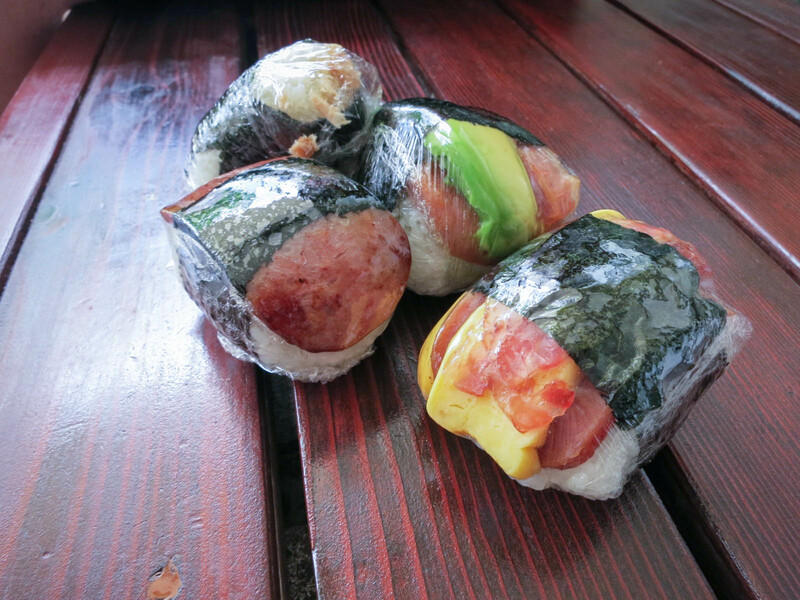 They have a large and creative selection of musubi and it is the perfect snack or meal if you eat a couple.